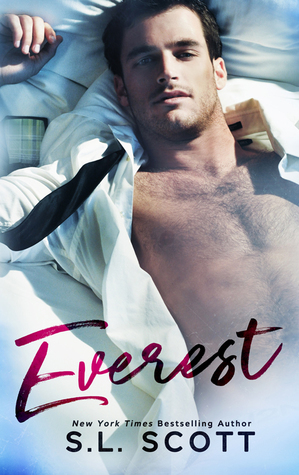 ARC Review: EVEREST by S.L. Scott | The Biblioholic ~ Read more. Sleep less. What I found funny was that ever since I started blogging, I’ve been promoting this author’s work but never actually read it. So I decided that now was the time to make things official. And I’m glad I did. I enjoyed this book a heck of a lot more than I thought I would considering how slow it started. Yeah, that’s a pretty good representation of the pace of this storyline. It was slow for the most part and I was thrilled when it took off. It was like a hidden surprise or something. I really liked how the author worked in a suspense plot. It was completely unexpected and I had absolutely no idea who was behind the treacherous acts. 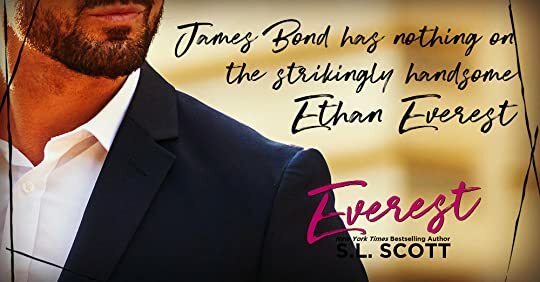 Back to the characters… Ethan Everest was hard to get to know. A year ago the main characters met on a fire escape at a party. After an almost-kiss that wasn’t meant to be, Ethan’s life made a turn for the worse. He took the easy over the compelling. He went with the familiar rather than the intriguing and unknown. So the connection that he shared with Singer went by the wayside. A year later, they’ve been in the same place at the same time on many occasions, and finally Ethan takes the step to really introduce himself to Singer. However, his life isn’t the way he needs it to be to be with her. He’s not the same guy she met a year ago. He was a man holding secrets pretty close to his chest and he kept sending out mixed signals to poor Singer. Luckily she was so far gone in her infatuation with him that she wasn’t going anywhere. She took what she could get. Singer was a sweetheart. She had a huge heart and wanted everyone to be happy, including herself. She had big dreams of making something of herself in NY and although they hadn’t come to pass yet, she wasn’t willing to give up. It was easy for her to fall in love with Ethan and he with her because they were both characters easy to fall for.